Compact daylight lamp head. Efficient 150W metal-vapor lamp with light output similar to a 650W halogen lamp. Silent cooling makes live-sound recordings easier. 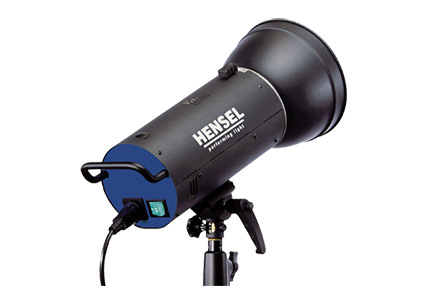 For all Hensel EH light shaping tools.